Desmond Trannore is more than just a name on a far north Queensland bridge or the name of a Gordonvale police officer; it is the name of a hero who lost his life in the line of duty and saved the lives of two children in the process. Sergeant Steve Webb has spent a lot of his life researching what happened on that fateful day and descibed the experience to the ABC’s Phil Staley. Born in Shepparton, Victoria, Senior Constable Trannore came to Queensland to work in the cane fields before deciding he wanted to be a police officer. “Des couldn’t swim a stroke before deciding to join the police force, so he actually used to jump off the old bridge to teach himself to swim,” said Sgt Webb. After being sworn in he served at Gordonvale, Cairns, Thursday Island and Brisbane, before coming back to serve in Gordonvale in 1956. Sgt Webb describes it as a time where in the small farming town of Gordonvale police officers were well known local figures in the community and some like Senior Constable Trannore were something more. “He was a bit of a knock about bloke, he played Aussie rules and he taught boxing and he was well known to give a few of the young blokes a fair kick up the backside if they played up,” he said. On the evening of October 27, 1964 Senior Constable Trannore was on the 4pm to midnight shift alone. At 5:45pm he received a call saying there was a domestic disturbance on a property at Little Mulgrave. “Des wrote a note that said ‘5:45pm, domestic brawl, Little’s place, Little Mulgrave’ and left it on the typewriter so that the officer-in-charge would know what was going on if anything happened,” said Sgt Webb. Mr Verney had assaulted one of his stepsons and was assaulting his wife. “Verney had caught Clifford and his sister Karen playing in the creek down the road and he attempted to drown Clifford and he smashed Clifford’s head against the side of his utility,” said Sgt Webb. “Mrs Little came down and tried to intervene and told Clifford to go to the neighbours and get them to call the police. Senior Constable Trannore then drove to the farmhouse and asked Mrs Verney and her daughter to get in the police car. Mr Verney confronted Senior Constable Trannore, threatened him and repeatedly ordered him off the property before disappearing into the house. He came back out with a .310 rifle and aimed it at Senior Constable Trannore. “Desmond turned around, approached Verney with no fear and said ‘that’s it, I’ve had enough, give me the bloody rifle’,” said Sgt Webb. “And with that Verney pointed the rifle and fired from the hip through Des Trannore’s chest – piercing his heart. Clifford ran towards the cane fields as Mr Verney lifted his rifle to shoot at him. “He didn’t get a shot out because Clifford disappeared into the cane,” said Sgt Webb. Mrs Verney heard the shot and ran outside to where Senior Constable Trannore was lying dying. She attempted to resuscitate him, but he died at the scene. Mr Verney, meanwhile ,fled in his ute. When word got back to Gordonvale, one of the largest manhunts in far north Queensland history began. Around 300 on and off-duty police joined the hunt for Mr Verney as well as a large group of Gordonvale residents. The following day Mr Verney presented himself at the Cairns police station. “It is thought that Verney got word of the lynch mob at Gordonvale and surrendered for his own safety,” said Sgt Webb. 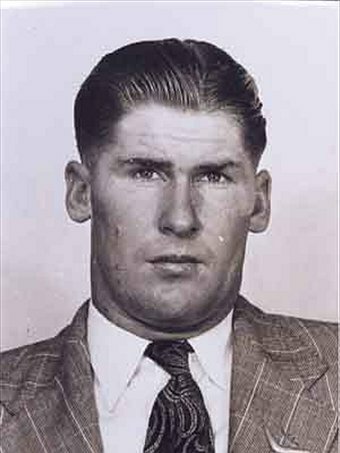 John Thomas Verney was charged and later convicted of the wilful murder of Senior Constable Trannore and sentenced to life in prison. A letter by Clifford Little describes the event and praises Senior Constable Trannore as a hero and a man unlike any other. Researching the case became a passion of Sergeant Webb and in 2009 he suggested the new bridge over the Mulgrave River be named after Senior Constable Desmond Trannore. “People should remember who he was and the fact that he gave his life to save a family and he did save that family,” he said. Main Roads Minister Craig Wallace today announced the new bridge over the Mulgrave River at Gordonvale will be officially named ‘Desmond Trannore Bridge’ as part of Queensland’s 150th birthday celebrations. “This name is chosen in honour of Senior Constable Desmond Trannore, whose bravery and dedication to both the community and his profession is held in high regard by many Gordonvale locals,” Mr Wallace said. “Mr Trannore was a well respected police officer and member of the Gordonvale community, where he was stationed throughout most of the late 1950s and early 1960s. “He was heavily involved in community activities – teaching boxing at the local youth club and running the Gordonvale Pony Club, Aussie Rules, tennis and cricket clubs. Mr Wallace said the bridge name was chosen from more than 50 nominations received across the community. “It is wonderful to see the Gordonvale and greater Cairns community getting behind this Q150 initiative,” he said. Mr Wallace said members of the Trannore family will join local members and representatives of the Cairns community in celebrations to officially commission and name the $48 million bridge on Thursday, 17 December. Jim Turnour, Federal Member for Leichhardt, will join Curtis Pitt, State Member for Mulgrave, on the banks of the Mulgrave River to officially commission the $48 million bridge and unveil the new name sign for the bridge. “The new bridge is a valuable and vital piece of road infrastructure for Far North Queensland,” Mr Turnour said. The new bridge is part of the Rudd Government’s commitment to improving flood immunity and accessibility between Cairns and Townsville. “The new 480-metre-long bridge, which opened to traffic in April this year, ahead of time and under budget, is providing significant benefits for far north Queensland. The bridge was just one component of the Australian Government’s $347 million Accelerated Bruce Highway Upgrade Package, delivered by the state government. The majority of works have been delivered, with remaining projects to be completed in early 2010. Mr Wallace said naming the new bridge over the Mulgrave River after Desmond Trannore recognised the integral role people have in building a community. “We have chosen a name that recognises an important local identify and also reflects community spirit and local history,” he said. Gordonvale Police and members of the Trannore family would like to extend an invitation to members of the community, to help commemorate and honour the memory of Senior Constable Desmond Trannore, who so bravely gave his life in service to the community. A 8.25 metre glass reinforced epoxy resin planing catamaran powered by twin 225 h.p. Outboard motors. The “D. TRANNORE III” was launched on the 9th April 2009 by Senior Constable Trannore’s widow (see photo right) in the presence of the Police Minister Neil Roberts, Deputy Commissioner Kathy Rynders and invited guest. Capable of speeds in excess of 45 knots the “D. 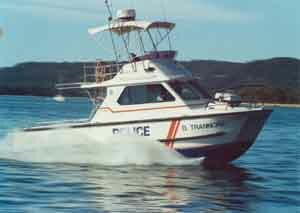 TRANNORE II” was built by Swift Marine of the Gold Coast and is a rigid hull inflatable speedboat capable of carrying up to 12 people. The “D. 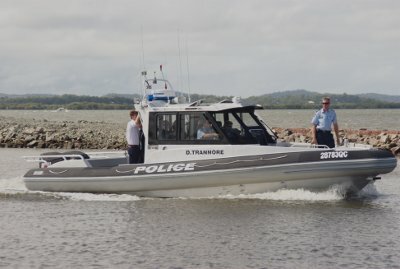 TRANNORE II” was purpose built for use by the Redland Bay Water Police to patrol the waterways and islands of Moreton Bay. RESPECT: Cairns police march down the Esplanade and towards St John’s Anglican church to mark National Police Remembrance Day. 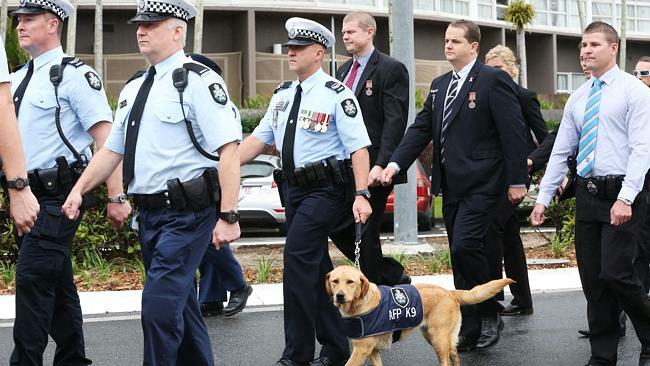 The Federal Police canine squad participated in the march. Picture: Brendan Radke. KATELIN and Kieren Trannore never got to meet their grandfather, but yesterday the Queensland Police Service showed them just how exceptional his sacrifice was. As the rain came down, the 16-year-old and 14-year-old marched with their dad, Shane Trannore, Aunty Karen Trannore, and Cairns police as part of National Police Remembrance Day. The Trannores’ father and grandfather was recognised at this year’s Cairns service for the 50th anniversary of his death. “I didn’t know much about my grandfather except that he died in the force and just being here is really nice, I am really proud,” Katelin said. Katelin said it was overwhelming to be part of the day which honoured her grandfather. “It was, just being part of the march and walking down the street,” she said. Senior Constable Desmond Trannore was stationed at Gordonvale in 1964 when he attended a domestic disturbance and was gunned down while he was trying to get the mother and the children medical attention. Senior Constable Trannore’s daughter, Karen, who was only a child when her father was killed, said it was a great honour to be there. “It was very important and quite emotional to march with the officers,” she said. RESPECT: Cairns police march down the Esplanade and towards St John’s Anglican church to mark National Police Remembrance Day. Picture: Brendan Radke. 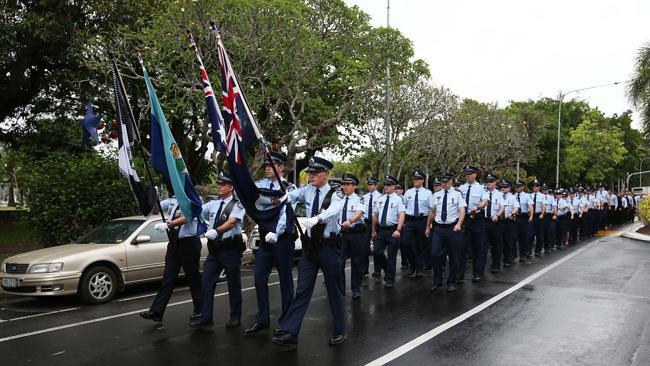 Just under 80 Queensland Police and Australian Federal Police officers marched in the parade. Acting Chief Superintendent, Brett Schafferius said the dangers involved in policing were always in the back of officers’ minds. “Today is the most important day on the policing calendar, it is the day we get to recognise and remember the sacrifice police women and men have made over the past 150 years of policing in Queensland,” he said. The names of the 140 fallen police officers were read out during the service. There are about 850 sworn officers in the Far North district and about 1050 employees overall. Over the past 150 years, 25 fallen Queensland officers have been from the Far North district.